There’s this little-known thing called Profit Hacking. Hardly anybody is talking about it. But when you learn it and use it, you’ll see a huge difference in your small business marketing and immediately understand how fast you can make an extra $10K next quarter by uncovering hidden revenue opportunities in your business. 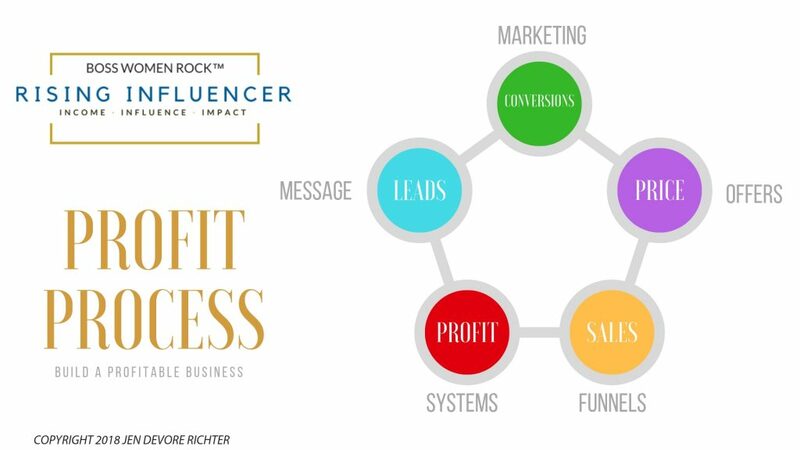 Jen DeVore Richter, Business Breakthrough Specialist, has been working for 5 years to ensure that her clients have the competitive advantage when it comes to growing your business. Profit Hacking is the advantage and Jen is a master at it! You are serious about growing a “real” business that can support you and your family. You’re committed to taking action and putting in the work. This is not a get rich quick scheme! You’re done making excuses about where your business is at and are ready to change. You believe that your business has the ability to change someone’s life if only you had the right exposure. On average, Jen finds about $44,500 to $314,000 in low hanging fruit hidden revenue opportunities for each person she does a 45-minute call with.